You will go bananas for the promotional Banana Caramel Pralines. A great mix of flavours that will knock you for six. Your customers will surely go bananas with these oh-so-good, mouth-watering personalised banana caramel pralines. 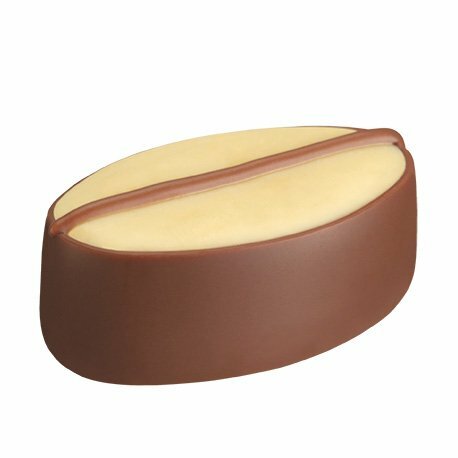 Imagine the delicious flavour of a banana combined with the succulence of caramel, all enveloped with creamy chocolate goodness. A soft, rich texture envelopes your mouth in every bite. The combination of flavours is like heaven in your mouth! Is your mouth watering already? The deal becomes sweeter! You are not just limited to our promotional banana caramel pralines. For all praline orders, you can mix and match all our other succulent praline treats! How sweet is that? You can have branded cappuccino pralines, custom tiramisu pralines, and all the other personalised chocolate pralines we offer. You will definitely go wild with the choices! All pralines are packaged in boxes of 48 units. While others require a large minimum order, only 4 boxes of our sweet promotional banana caramel pralines and all the other pralines are enough for us to get your order out the door. Since praline orders are in bulk, this should not stop you from getting creative with your packaging! Arrange these sweet delights in smaller boxes with a full-colour sticker of your logo or promotional message and you have yourself a delightful gift for any discerning client. If these sweet treats will be used as nibblers in conferences, why not design the tray with your brand? Or better yet, have mini flags of your logo on the pralines. Use these delicious and succulent chocolate pralines to take your brand to the next level. Once you see your customers get a second or a third serving of your chocolate pralines and branded banana caramel pralines, then you know you have won them over. If you think a yellow coloured baseball cap will compliment your banana pralines then please hop over to our Fast Caps website. We love helping our customers mix ‘n match their confectionery choices with their promotional head wear ideas too. Specifically, check out the yellow custom hi vis cap. Shall we get started on your order? Give us a call on 1300 008 300 and speak to one of our sweet tooth experts. We’ll be happy to walk you through different customisation options so your promotion will get the best possible outcome.